Choose an option1 Liter125 ml.30 ml.500 ml.60 ml. This varnish is processed to give it a deep brown and transparent colour in the style of the Classical Luthiers of the Brescia school. This varnish has very similar characteristics to the Classical Amber Varnish. However, it is processed to give a deep and transparent brown colour in the style of the classical luthiers of the Brescia school. It offers an optimum result to be combined with pigments, dyes and on glazes, as well as to heighten the colour of earlier coats. 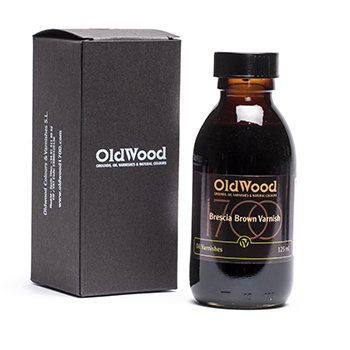 It can be diluted with white spirit, turpentine and with OW Thinner (see “raw materials”). 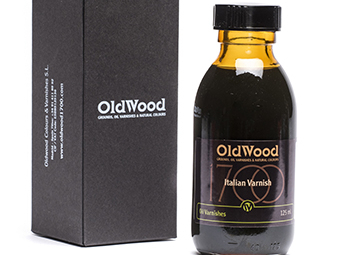 Varnish with a high concentration of resin, formulated with Baltic Amber, linseed oil thickened in the sun and polymerized linseed oil. 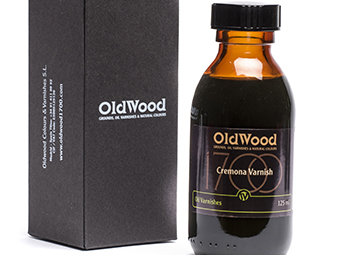 Cremona Varnish is used to heighten the varnish’s suppleness, resistance and elasticity.